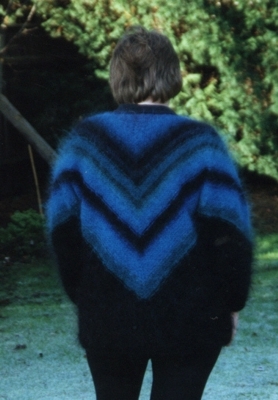 For all Woolly Thoughts and Second Thoughts sweaters you need to forget about the conventional back, front and two sleeves. 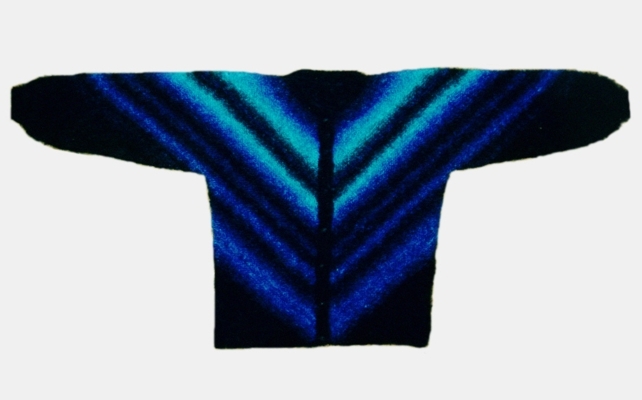 Making a sweater is 3D geometry. The knitting must wrap around the body but the seams (if you have any) can be anywhere you want. The same design in three different sizes. 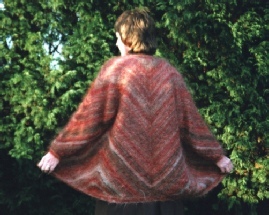 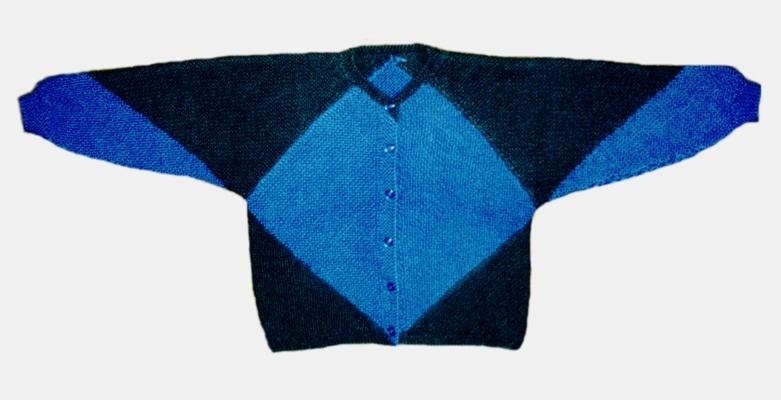 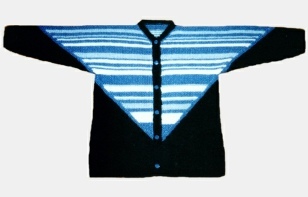 This sweater started with several small squares which were joined together to make the neckline. 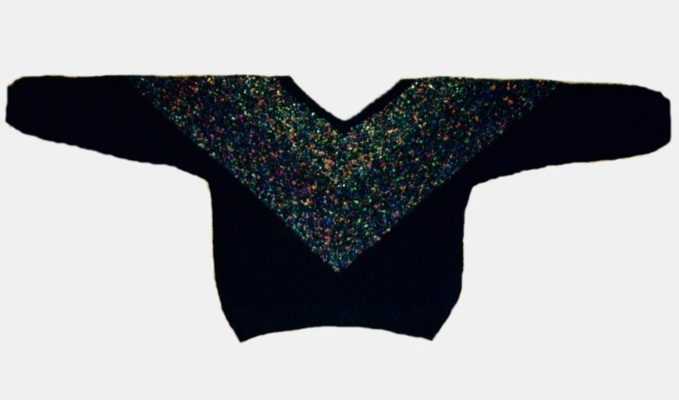 The rest of the sweater was worked outwards from those squares, using up all that was left of the sparkly yarns. 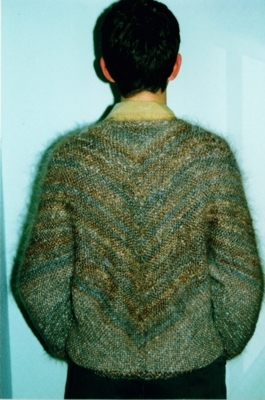 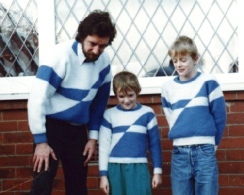 All of these sweaters were made by starting at the neck and working outwards. 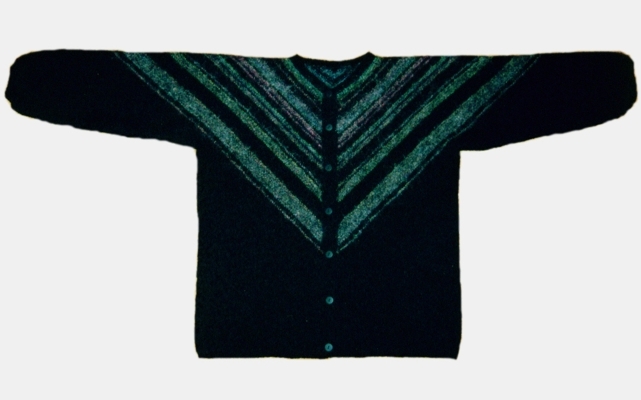 These sweaters each starts with a large piece which has more large shapes joined onto it. 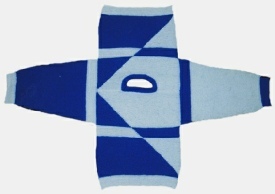 The starting square can be knitted in a variety of ways.